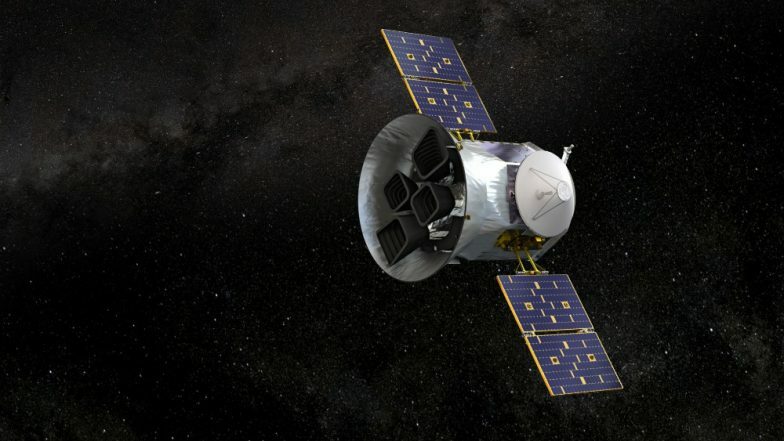 Washington, April 16: NASA's new exoplanet hunter Transiting Exoplanet Survey Satellite (TESS) has discovered its first Earth-size world. The planet, HD 21749c, is about 89 per cent of Earth's diameter, NASA said on Tuesday. The planet orbits HD 21749, a K-type star with about 70 per cent of the Sun's mass located 53 light years away in the southern constellation Reticulum, and is the second planet TESS has identified in the system. NASA Calls Mission Shakti 'Terrible Thing', Says 'India's A-SAT Missile Test Increased Risk to ISS by 44 Per Cent'. The planet, HD 21749c, is the 10th confirmed planet discovered by TESS, and hundreds of additional candidates are now being studied. The new world is likely rocky and circles very close to its star, completing one orbit in just under eight days. From this, they determined that the star's light was being partially blocked by a planet about the size of Earth. The star that HD 21749c orbits is bright and relatively nearby, and therefore well suited for more detailed follow-up studies, NASA said.